Tulare County, is pleased to announce that it has established a fledgling Grant Project Program. 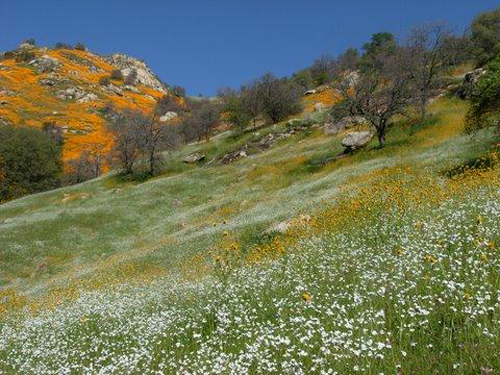 The Chapter will be accepting applications for grants to promote projects and research that will increase appreciation and understanding of native plants and natural areas of Tulare County, the Central Valley and the Southern Sierra Nevada Mountains and Foothills. Two grants, between $250 and $500 each, will be awarded each year, based on the project’s itemized proposed budget. In addition, the proposals should include an itemized proposed budget and letters of support for the project. Applicants who are awarded grants will provide a progress report to the Alta Peak Chapter at the end of the first year. They will be asked to give a talk about their project at a chapter meeting, or to write a brief explanation of their work for this newsletter. Notification of grant awards will be given by May 1, 2019.